Labor Day weekend means a last chance to grill by the pool, eat rainbow sprinkle-covered ice cream cones, rock all-white outfits, and drink fabulous frozen summer cocktails before the school year starts. 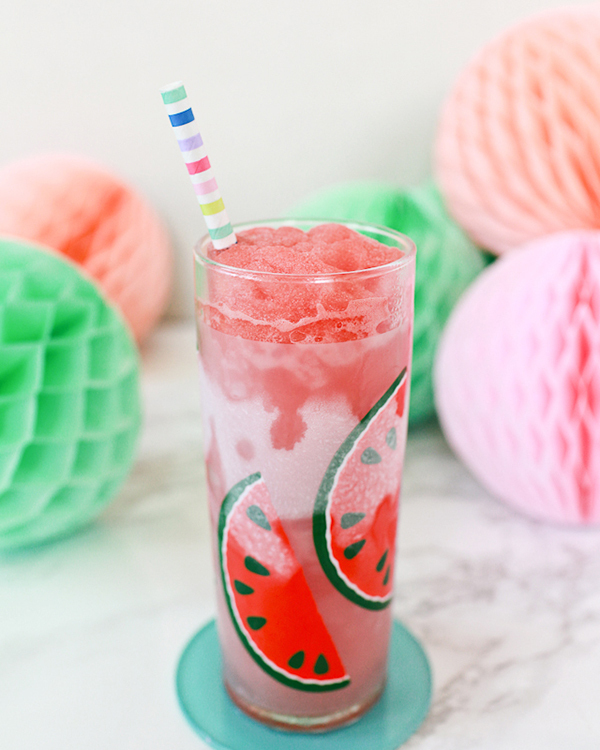 And I've got just what you need to make it a perfect holiday weekend–Watermelon Frosé! Combine ingredients in a blender and blend until desired consistency is reached, approximately one minute. Notes: Pretty easy, right? To kick things up a notch and achieve a super-slushy texture, freeze the watermelon chunks in advance. And if you need to drown your sorrows about the end of summer, throw in a splash of vodka–I won't tell. Cheers! Image by Nole Garey for Oh So Beautiful Paper.